As more and more people choose to use the Keurig coffee makers for their convenience and unparalleled variety, questions naturally arise. One of the most frequently encountered questions is "Do K-Cups expire?" In this article, we will answer that question. We will also discuss the manufacturing process of K-Cups and explain the methods of preservation used to keep their contents fresh. How Long Do K-Cups Last After The Expiration Date? On the side of each K-Cup, you will see a "﻿Best-By﻿” date. It may be a bit difficult to see because it is usually simply impressed into the plastic or printed in an ink color that fairly closely matches the plastic of the cup. Do K-Cups go bad after this date? No. This date does not indicate the date when the product will “go bad”. It indicates the last day that the manufacturer recommends using the product with optimum results and flavor. After this date, the manufacturer will not guarantee the flavor, quality and safety of the product; however, you should not be excessively alarmed about safety. As long as your K-Cups or Keurig K-Carafe pods have been properly stored and have not been damaged, you should be able to use them safely long past this date. While there is some chance that the ingredients may taste a bit stale past Best-By date, it is a slim chance. 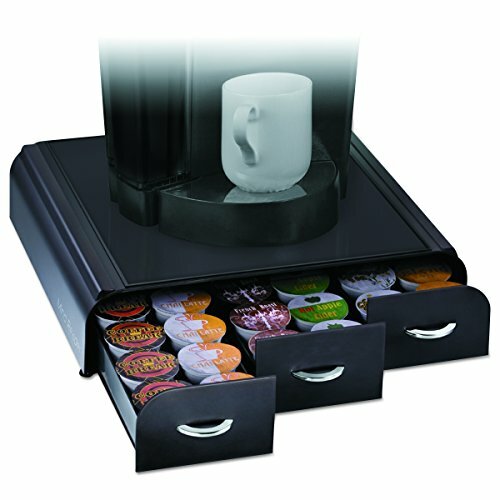 The coffee, tea or dry ingredients needed to create a hot beverage contained in K-Cups are preserved by a combination of two very effective methods. First, ingredients are treated with liquid nitrogen which flash freezes them immediately and effectively. Once frozen, the contents are vacuum sealed in the K-Cups so that no air or moisture can enter. Flash freezing holds the contents of K-Cups in stasis. Protection from air and moisture prevents natural decomposition and the development of mold. This in turn increases the shelf life of Keurig K-Cups. As long as there is no perforation of the K-Cup and the vacuum seal remains intact, the ingredients should be safely usable indefinitely. This is not to say that they will be at their best, though. Is Nitrogen Treatment A Safe Preservation Method? As we've mentioned, the contents of K-Cups are preserved by a combination of vacuum sealing and nitrogen treatment. Vacuum sealing is completely safe. It consists of simply removing all oxygen from a container and sealing it tightly to prevent contamination. Before K-Cups are vacuum sealed, the contents are flash-frozen with liquid nitrogen. You may have heard conflicting reports about the safety of liquid nitrogen because it is extremely unsafe to ingest. Liquid nitrogen has many safe medical and culinary uses. Because it is a colorless, odorless cryogenic (cold chemical) that is nonflammable it is often used by doctors and surgeons to fast freeze and eradicate unwanted tissue growth. When used correctly by a trained doctor, this is very safe. Using liquid nitrogen in food preparation is perfectly safe as long as all of the liquid nitrogen has completely evaporated from the food before it is consumed. This is certainly the case when it is used to preserve the ingredients of K-Cups. Just as with any dry goods, you should store your K-Cups in a cool dry place. Good choices include a kitchen cupboard or your refrigerator or freezer. Naturally, unsealed containers can also provide breeding grounds for germs and bacteria. If your K-Cups are damaged in any way or you see evidence that air or moisture has entered the K-Cup, you should not use it. How Long Are K-Cups Good For? To answer this question it's important to realize that the word "fresh" is relative. In terms of coffee, even if you were to brew your K-Cup the day after it was packaged, it would not be the freshest possible coffee. The moment coffee is ground, it begins to decompose and lose flavor. For this reason, if you want a truly fresh cup of coffee you'll need to purchase your own beans, keep them frozen and grind and use them as needed. 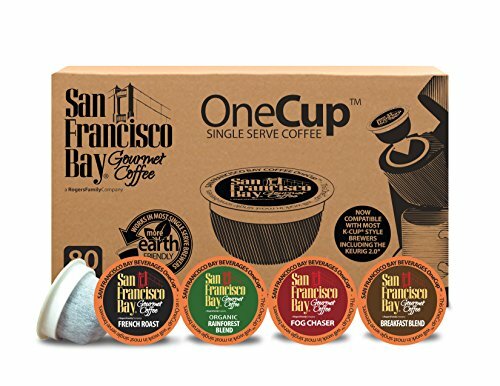 In terms of usability, it's best if you use your K-Cups by the Best-By recommended date; however, you are unlikely to notice much difference in the quality of the product for up to a year after that date. Beyond that, as long as the product has been safely stored it should remain safely usable but quality may decline. SEE ALSO: Can You Reuse K-Cups​? Basically, you needn't worry too much about K-Cups going bad. When they are properly stored at a stable temperature under dry conditions, they should remain usable for a very long time. This is good news if you are a bargain shopper! Even though using the Keurig One-Cup Coffee Maker is quite a bit cheaper than buying your coffee at a coffee bar, it can still cost you a pretty penny!